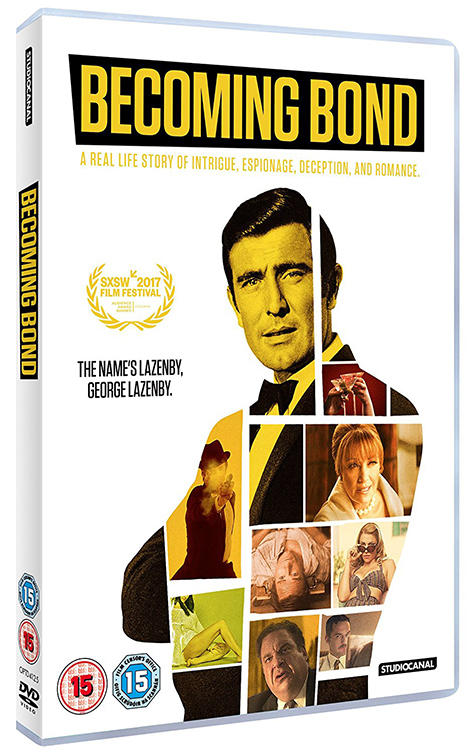 Becoming Bond, the documentary about George Lazenby's rise and fall as James Bond, is now available on DVD and digital download. Becoming Bond features George Lazenby as himself, Josh Lawson as George Lazenby, Kassandra Clementi as Belinda, Jeff Garlin (known from Curb Your Enthusiasm) as Harry, Jake Johnson as Peregrine Carruthers and Dana Carvey (Saturday Night Live and Wayne's World) as Johnny Carson. The film also stars actress and Bond Girl Jane Seymour, who played Solitaire in the 1973 Bond film Live and Let Die.